The new range is designed to offer convenience and versatility to the user and broaden the product category reach to a wider potential market, where it will help manage costs in residential, commercial and industrial applications. It uses Bluetooth technology to programme the timer and is compatible with Android and IOS, and applications include lighting, security, heating, ventilation, irrigation and horticulture. 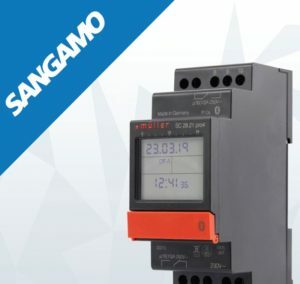 The current Sangamo DIN rail time switches use Near Field Communication (NFC) to programme the timer from an Android device. As well as Bluetooth communication, the new time switches feature zero-crossing technology supporting up to 600W LED load. This technology protects the relay contact and extends service life.